Is it true that all Volkswagen cars looks the same and have almost same design cues perhaps its true, take a look at this new Vento and you will realize that it looks almost the same but what Volkswagen has done is that they have added some fresh new elements to the sedan which actually has give this new sedan a new league of life. Towards the front the Vento has typical 3 slat Volkswagen grille with the logo on it while the front bumper now has been added with Chrome slats. The front headlamps too receieved some significant updates as well lastly talking about lights the fog lamps also loks slimmer than the old ones and is helpful specially during turns. The side profile of the sedan remains completely unchanged the rear fortunately received some bling which came in the form of a new slim chrome strip on the rear boot and also on the rear bumper. Overall the Volkswagen Vento looks more like a elongated Polo and why not it even shares some of its components with it including the platform but because of the enhanced platform the Vento rear passengers can also enjoy the extra amount of space. Talking about extra space and interior on the previous paragraph the dashboard received some new color theme which comes in the form of new Walnut Desert beige on the lower half of the dash while the top half has been finished in Piano Black which definitely looks good. While talking about rest of the interior well! Quite honestly nothing has changed much. The Vento still carries that same old flat bottomed steering wheel, while the dashboard also comes with a cooled glovebox which really comes handy. Unfortunately the Vento comes with a comes with the conventional entertainment system while its rivals has moved to the touchscreen infotainments era. For the comfort of the rear passengers the Vento also gets rear AC vents and also space max technology which actually allows the rear passengers to adjusts the front seats (Co Driver) from the rear only making more leg room. The car also comes with a cruise control for easy drivability option. The rest of the features includes auto folding mirrors and an external boot release. According to VW, the new Volkswagen Vento has a 7% more efficiency in fuel consumption, making it more competitive. We drove the Diesel – TDI with the 7-speed DSG (Auto) and the car again impressed us as it retains the same virtues of being a responsive and spirited performer. The gearbox though, has a certain initial lag. Also, what was noticed was that on releasing the brakes (in Drive mode), the car leaps ahead suddenly (forward or reverse) and one needs to be careful, especially in bumper to bumper driving situations.The suspension setup remains the same, offering a pliant ride and good overall composure, which is certainly a highlight of the Volkswagen Vento. The Vento has always been known for its dynamic capabilities. It is a very involving car to drive. Handling is amazing and ride quality is good too. The suspension set-up is slightly stiff but it helps negate body roll. The sedan comes with Apollo Alnac tyres and these offer superior levels of grip on various types of road surfaces. The Vento moves over bad roads with ease but at slightly high speeds, it does feel a little unsettled. The steering feels good and gives you lots of confidence and braking is also very sharp. The Volkswagen Vento comes with two airbags and ABS. The vehicle has strong build quality and the cabin feels like a safe and assuring place to be in. Talking about after-sales service, Volkswagen doesn’t really excel much in this department. The company really lags behind its rivals by a huge margin when it comes to after-sales. There have been numerous complaints about Volkswagen giving sub-standard levels of service while the company’s service network is also not as widespread as rivals. However, the German carmaker is expanding its reach across the country. They currently have around 118 dealerships across 100 cities in India. 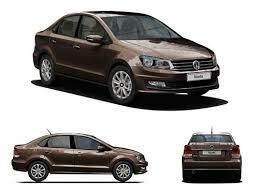 The Volkswagen Vento was always a competitive car in the C+ segment, having some unparalleled virtues. These virtues like a robust build, good ride and handling and a responsive engine are still retained and in addition it gets some features that are now desired by customers in this segment.